See, detect and grasp: An intelligent gripping system for versatile and sensitive grasping. Hannover Trade Fair: Visit us from April 1-5 in hall 17, stand C50, to meet us and to see our intelligent gripping system in action. 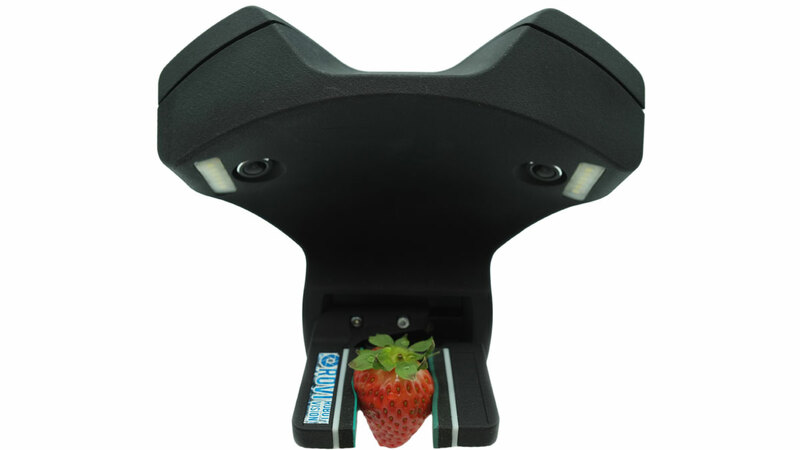 Our intelligent gripping system is a ready-to-use solution for flexible and sensitive grasping applications. 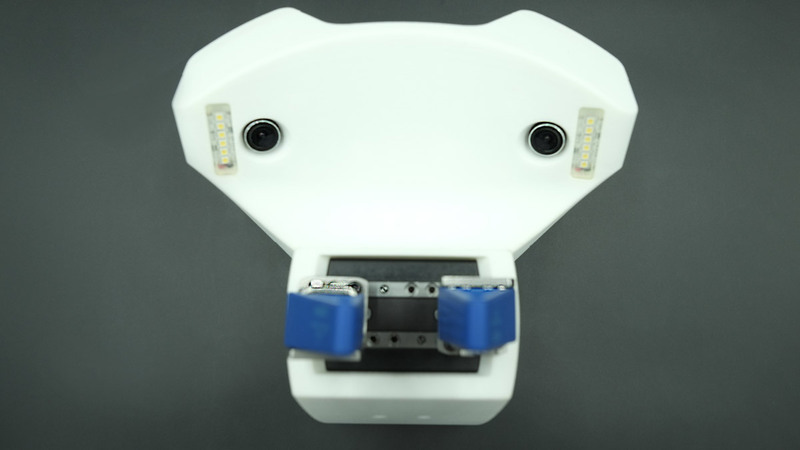 It integrates an industrial gripper, a stereo vision system, as well as our camera-based sensors for tactile data and optionally force/torque. Our intelligent gripping solution integrates two grayscale/color cameras, an industrial 2-jaw gripper, as well as universal fingers in a compact package with a standard mount. 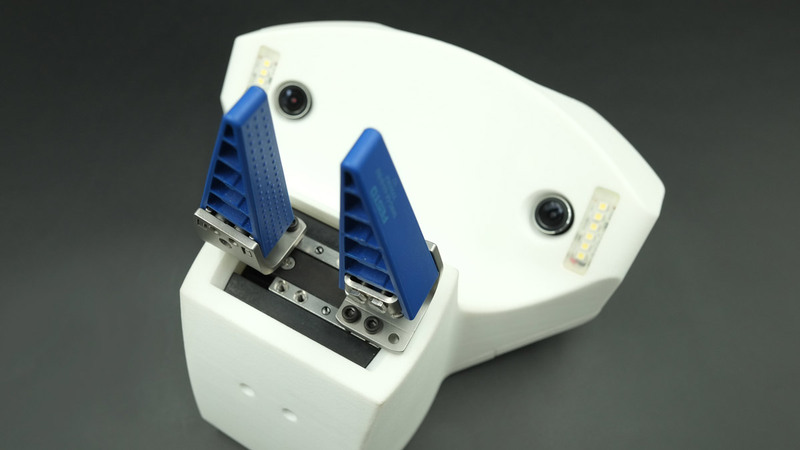 The fingers are equipped with a layer of rubber foam to support camera-based tactile sensing. The core of our sensing technology is an image processing software, which derives physical sensor signals from the observation of the rubber foam's deformation during contact. Hence, the sensor functionality is shifted from complex and dedicated hardware modules into our intelligent sensor software. 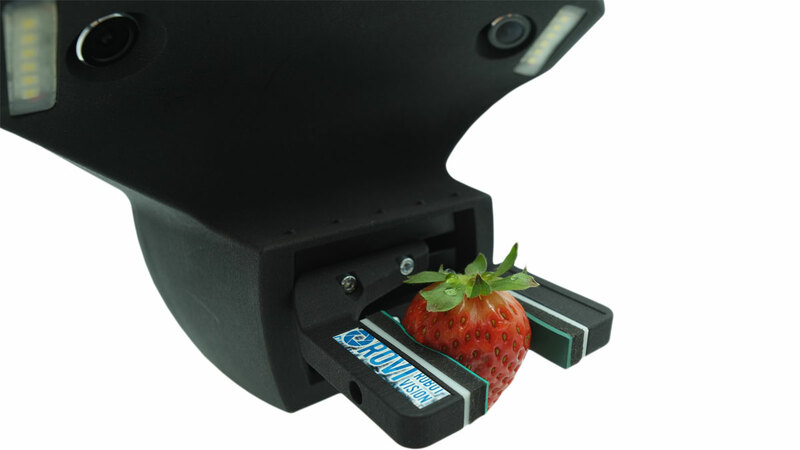 This sensor software provides rich feedback about the grasping process, including tactile/pressure profile, grasping force, gripper opening, object position/count, object shape, object deformation and detailed grasping statistics. Using this data, our multi-goal grasp controller enables intelligent and flexible grasping of varying objects. 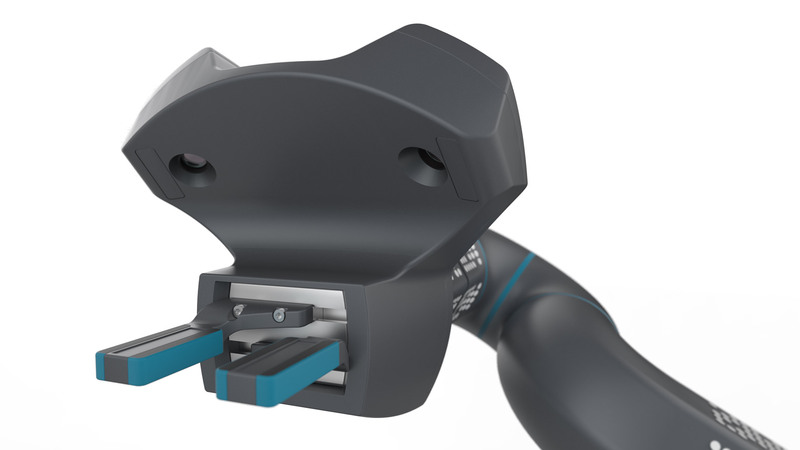 Our patented sensor principle allows you to simply replace or adapt the gripper's fingers. This is due to the fact that no wiring is needed in the fingers, since the rubber foam is completely passive and without any integrated electronics. 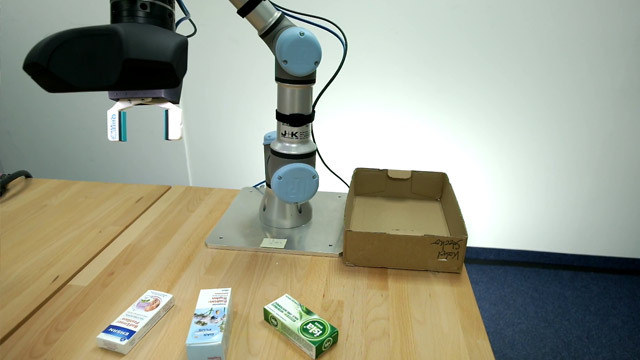 At the same time, the cameras can be used for various other tasks like for example object recognition and localization. Please get in contact with us to discuss your computer vision requirements. This video shows our intelligent gripping system during a camera-based pick-and-place task, as required similarly for e-commerce order fulfillment applications. 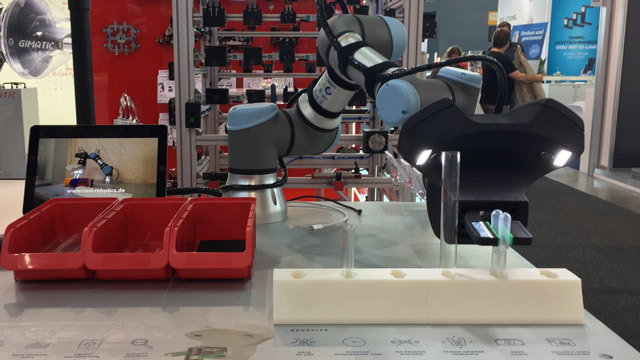 This video shows our intelligent gripping system, demonstrated at the Motek 2018 trade fair in Stuttgart, handling both rigid and soft objects. 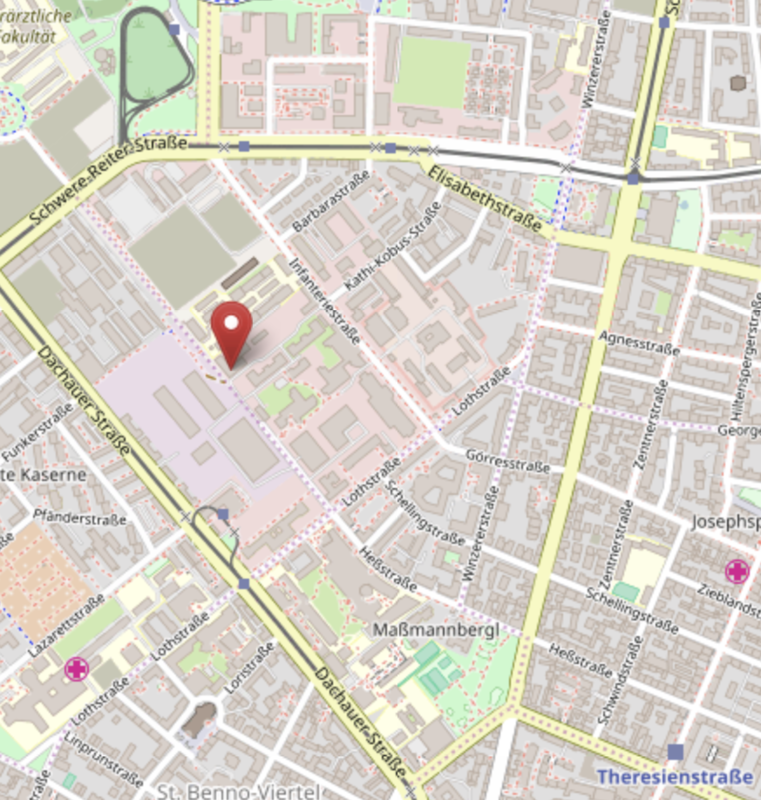 Integrated API for grasping, motion commands, sensing, object detection, camera access. * The technical data describes the current prototype and is only preliminary.